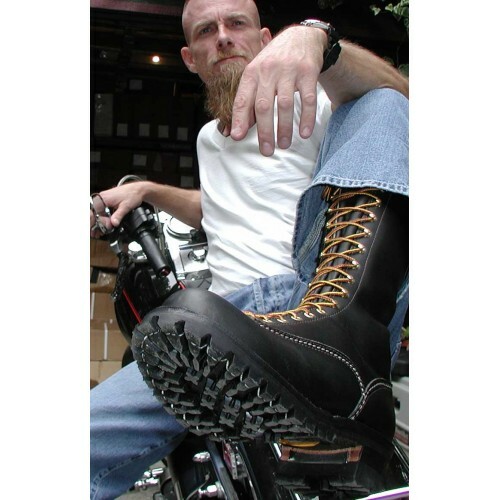 The Wesco 16" Highliner in black is one of Wesco's very first bread-and-butter boots. These 16" leather beauties were originally made for professional linemen, cable installers, and tree service workers. The 16" height will protect both your feet and your calves, whether you are climbing electrical poles or trees. In combination with the height, workers can rest easy knowing that 7oz of full-grain leather are used in creating this Wesco icon. 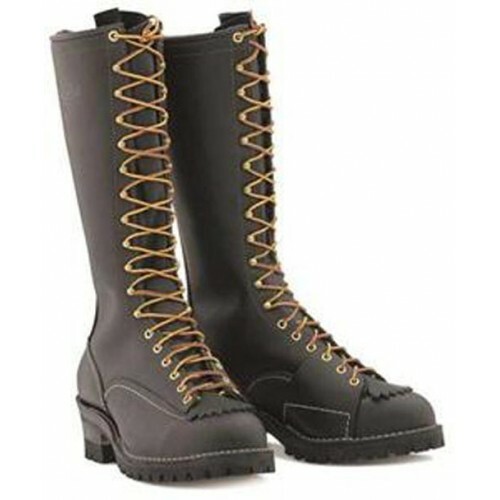 In combination with all the aforementional features, the 16" Highliner also houses a non-corrosive, arched, steel shank, which will comfort your foot and give maximum support. Those with ankle and foot problems need look no further than this boot as it also provides a leather half-slip for added support for your arches. Climbing can be a dangerous occupation. Wesco realizes this and added into the Highliner a recessed metal heel breastplate. This offers protection from climbing spurs, a must-have for all you climbing enthusiasts and workers, and, if all these features weren't enough to sell you on these boots, a 100 Vibram lugsole is added in as well to give you better traction. Slipping will be a thing of the past, whether you are climbing poles, traversing slippery tree trunks, ascending cliffsides, or even just walking down the street. These boots are designed with the safety of your feet in mind! If you prefer a shorter boot, why not try out our 10" Black Highliners?